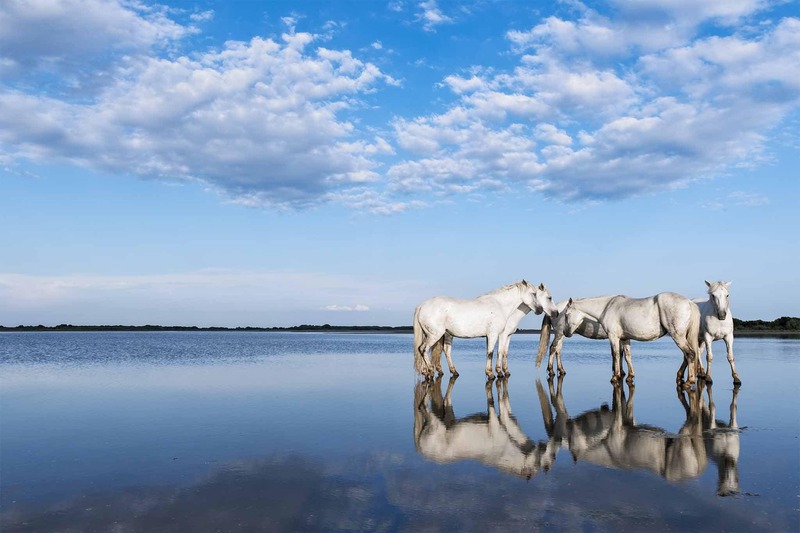 Capture the magnificent wild white horses of the Camargue on this 4 night wildlife photography holiday with photographic assistance provided by Serge. Witness the raw power & elegance as the wild horses thunder through surf & sand & show off their feisty, fiery temperament. Group size: 2 - 8 participants - places available..
£2199 per participant - places available. 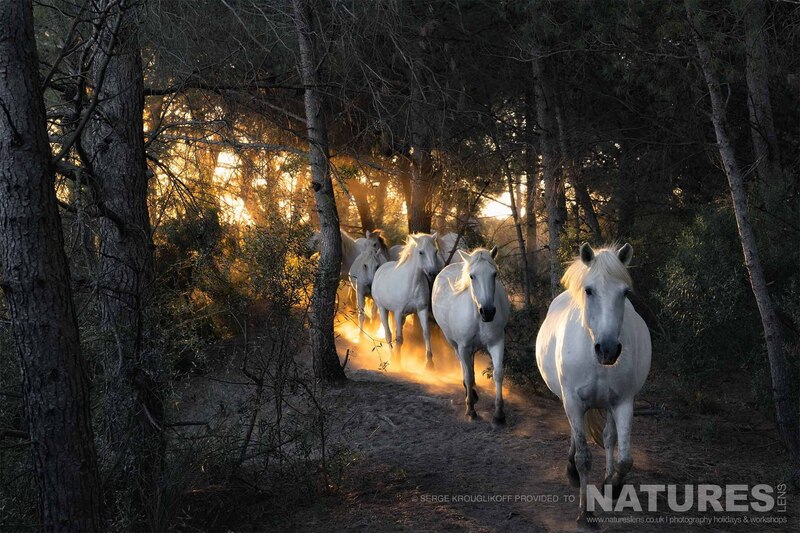 Join NaturesLens to capture images of magnificent white horses & black stallions, in France, during the Wild White Horses of the Camargue photography holiday. This photography holiday is of 4 night/5 day duration on a Bed & Breakfast only, Non-Shared basis & costs £2199 per participant. NaturesLens guides are knowledgeable in making sure you get the shots you want & are great fun to be around. , this photography holiday requires a deposit of, £450 to secure a place. This is one photography holiday where you will be travelling light when it comes to camera equipment. You won't need anything longer than a 70-200mm as you will be able to get very close to the horses. If your 70-200mm lens happens to have an aperture of f/2.8 so much the better but f/4 would also work well. Don't forget to bring a wide angle lens to capture shots of the horses as they gallop towards you through the surf. & takes place in Montpellier in France, between the dates of 25th - 29th September 2019. It is ideal for photographing wild horse, wild stallion & more. This photography holiday is led by Serge Krouglikoff for NaturesLens. The photography holiday is offered on a Bed & Breakfast only, Non-Shared basis. Group size for this photography holiday is a minimum of 2 participants & a maximum of 8, plus Serge. We consider this to be an event of Easy level of exertion, if you have any questions about your suitability for this event, please contact us prior to making a booking enquiry. The photography holiday starts & ends at Montpellier Airport. Transfers between Montpellier Airport & Montpellier are included in the cost of this photography holiday, this photography holiday requires a deposit of £450 to secure a place. Deposit required to secure a place: £450 payable upon making a booking. Final balance payment due: June 25th, 2019*. Bookings made after this date will require the full payment to secure a place.